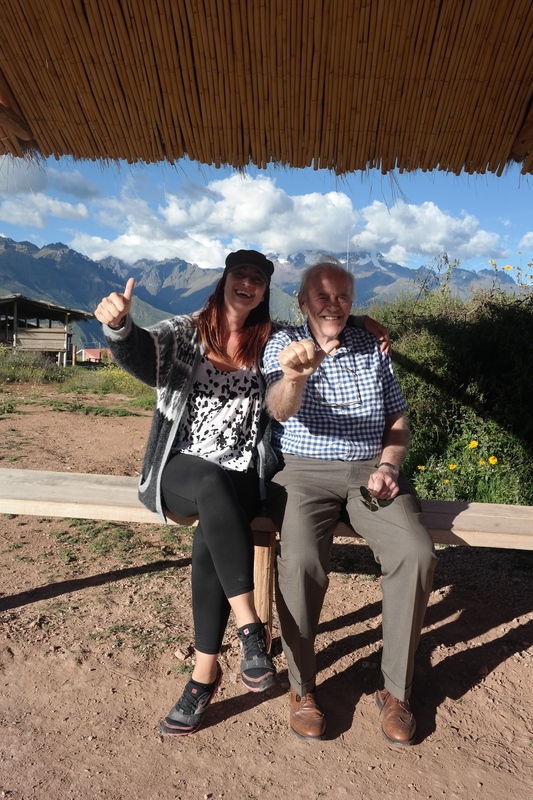 After our morning wandering Ollantaytambo we hopped into a 6 seater to make our way to Cusco with Percy, our guide, via some interesting Sacred Valley sights. 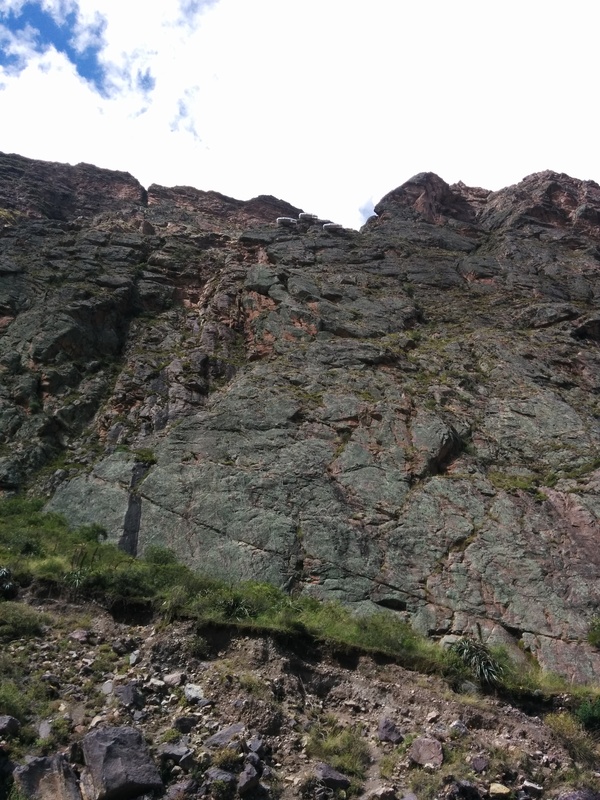 We drove along the valley from Ollantaytambo past the Sky Lodge Hotel. 3 pods clinging to the side of the cliff. You have to climb the cliff face to move in, there are 4 beds in each, you get breakfast delivered in the morning, and you zip line out – all for the meagre sum of $600 a night! Left me wondering how you go to the loo. 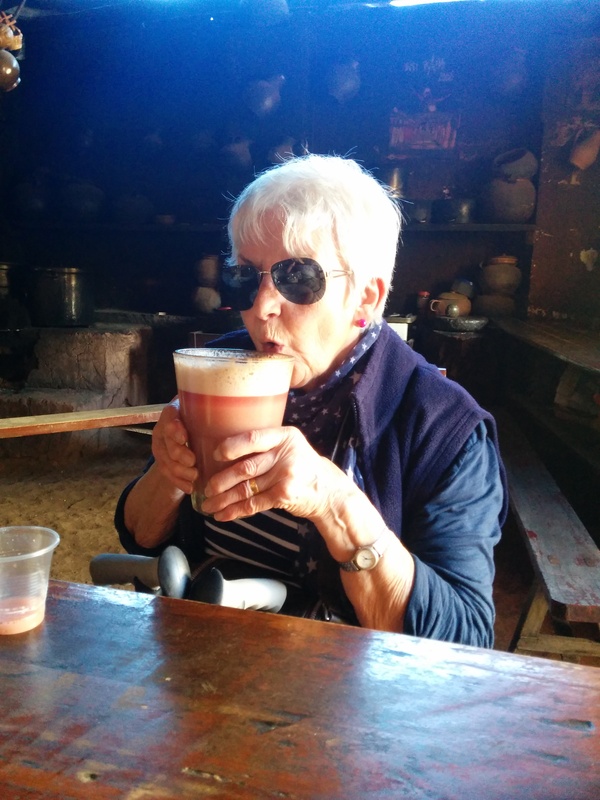 Next stop was a traditional chicha factory/bar. Then we played the traditional Sapo game, flinging gold coins at a wooden table with holes (each worth a different amount of points). Mum got a few goes in, Dan and I drew on points after a few games, but Dad beat all of us with just one turn – 6000 point high score! With Dad looking untouchable, Jim pretended to find a coin in the highest scoring pocket to fool Sapo-papá that he’d overtaken at the last. “Nooooo, really?”. 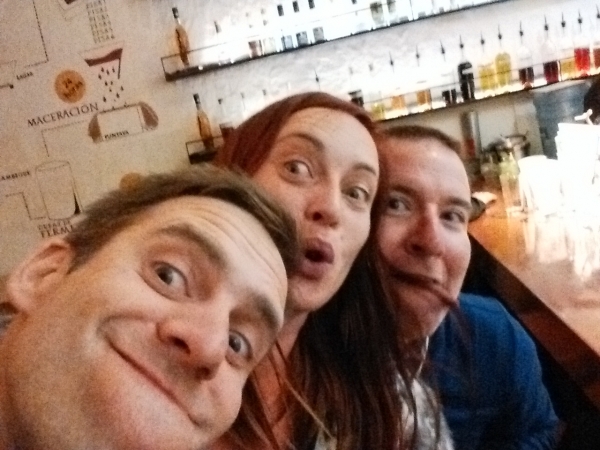 Apparently the locals hang out drinking and playing this addictive game all day – would LOVE to do this! Unfortunately, however, we had more amazing sites to get to! 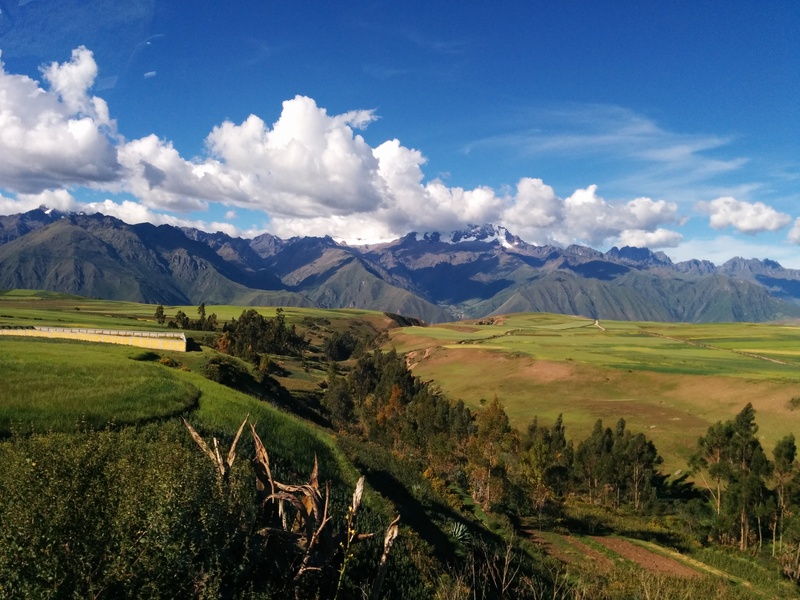 We drove on out of the valley to the altiplano and through more incredible scenery; snowy peaks (Chicaon), mountains, and green pastures set against a perfectly blue sky. The mountains are normally brown when tourists are here, but we were treated to full green glory! 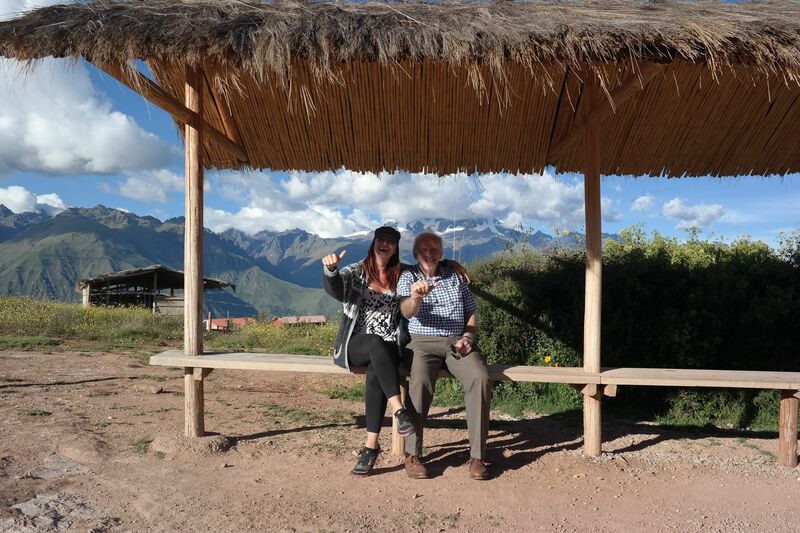 Next stop was Moray, the Incan greenhouse. A stunning place – not just because it is an ingenious way to create different climates for growing and cross-breeding different crops, but concentric circles on this scale with vibrant green grass has an undeniable intrinsic beauty. No wonder a lot of people feel a spiritual connection here. After a while marvelling at Moray, we headed on to a view of a distant lake where our guide Percy used to live. Interesting chats about his way of life (an hour’s walk to school, home by 3 for lunch, tending sheep in school holidays etc). Next stop were the store houses at Chincero. Huge! 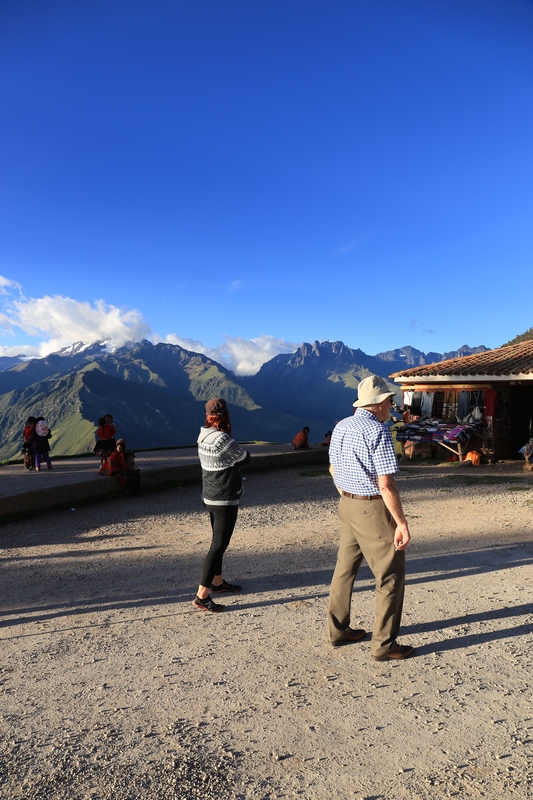 Great views down to the valley, and kids in traditional clothes playing around their parent’s stalls. We headed in to town to see the royal terraces as our last stop; looked just like Christmas Cake! Finally we made our way into Cusco around 5ish and to our hotels. The Marriott crew had to sort a few problems with their rooms (Dan had recognised the room number he’d seen bad reviews for! ), but we eventually headed out to eat – very tired – around 8. Mama’s eyes were closing by the time we’d eaten… not surprised after a day of so many amazing sights. The next day we decided to have a rest day and recover. 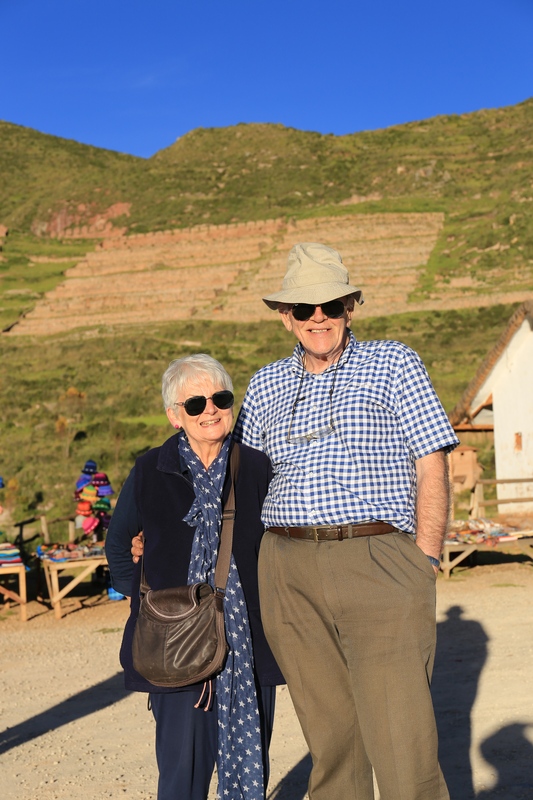 Jim and I have loved being able to use the facilities of the upmarket hotels – big sofas, hundreds of fluffy cushions to nest in and a warm fire burning, it was like the Penny sitting room with us all sat around reading and blogging and snoozing. The day went SO fast, unbelievable. Whooops! Clippers broke. Only reason he found out before leaving the hostal was a skype call with Mumma Marie! 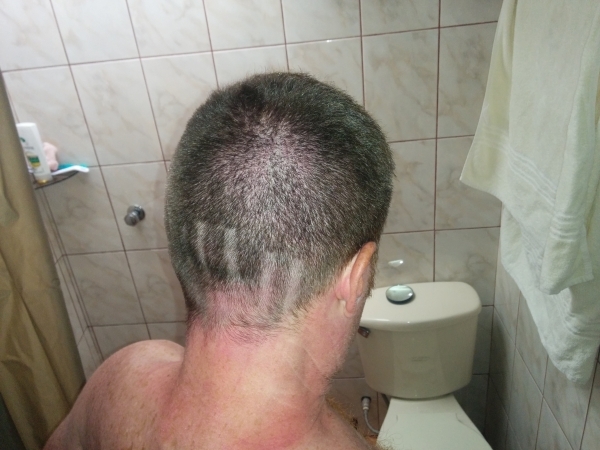 By chance he had showed off his new haircut… “Oh, is it meant to be like that?”. He spent a few hours trying to even it up. Hahahaha. “The Cusco Clipper Debacle”. We ate in the hotel restaurant and Dan, Jim and I visited the local Pisco Museum later on for some great cocktails at the bar. A million terrible photos later… home to sleep it off. Very hungover the next morning, and Jim not well at all. Left him at home while we visited a weaving museum and Coricancha. Couldn’t manage much at this altitude, had to pit stop on some benches for a quick shoe shine in between. 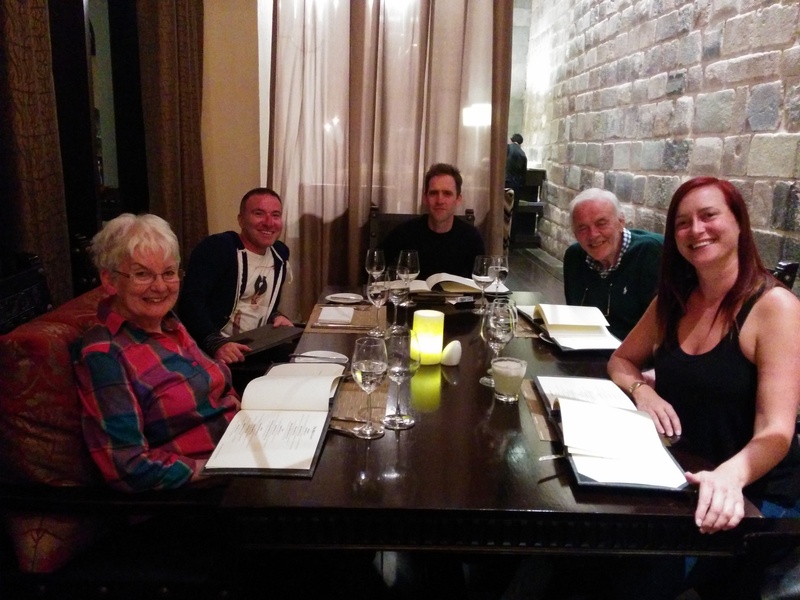 We rested again for the afternoon, had another mix up with LAN flights in the evening (they cancelled our plane for no reason), and then went to a lovely restaurant for dinner – the staff are vounteers and all profits go to a Children’s Charity. Eating for charity, can’t get better than that. 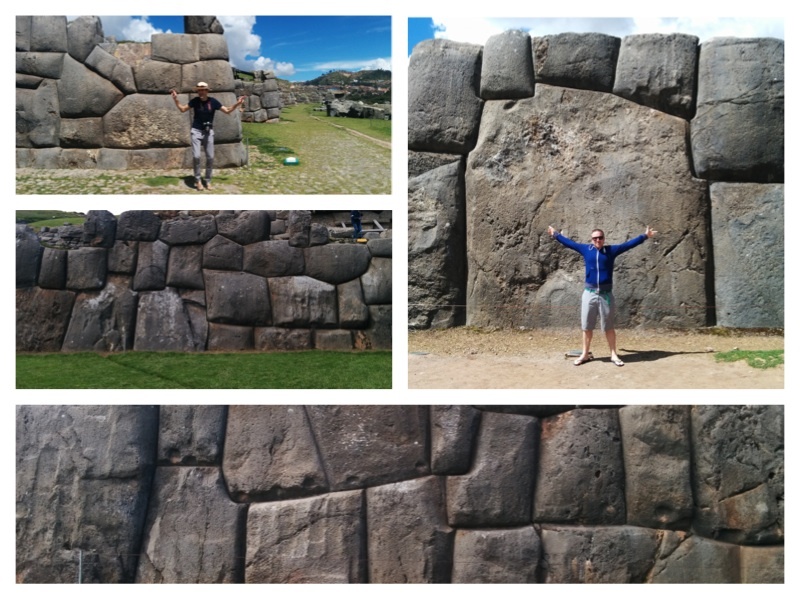 On our final morning we visited what I think is my favourite site: Sacsayhuaman. 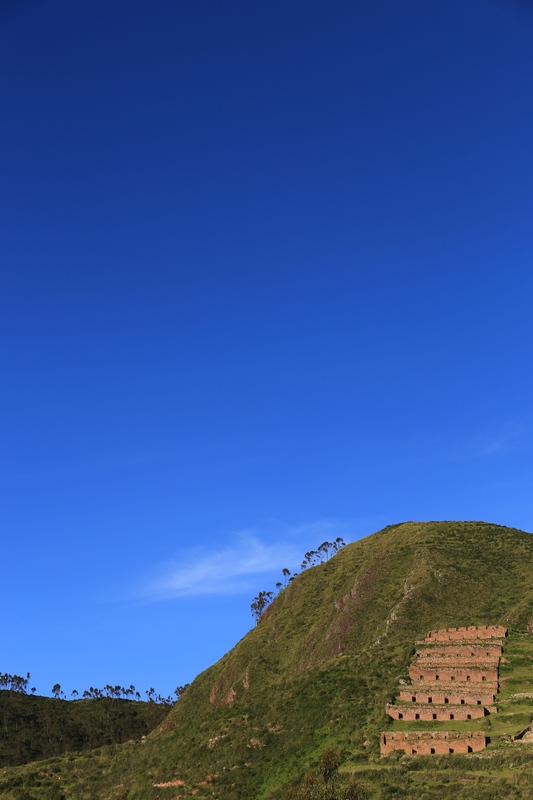 Lying just outside and above the centre of Cusco, it has some of the best megalithic construction – a huge, zig-zag wall with ENORMOUS rocks cut, shaped and stacked together beautifully. There is a ceremonial space in front of the zig-zag wall, overlooked by two thrones cut into a rock hill once forged by a glacier. Above the zig-zag wall there are multiple tiers of amazing rock construction, atop of which once stood 3 temples… a great whistlestop tour before our plane. 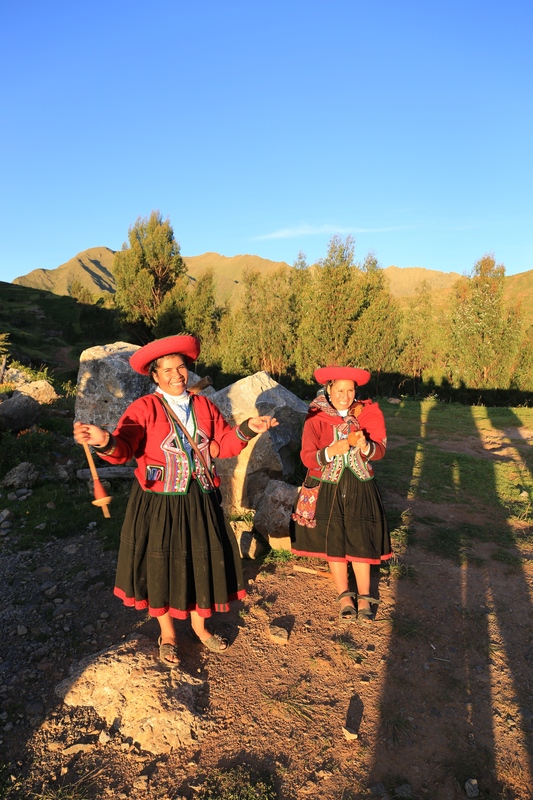 The Incas clearly had no boundaries, no limits to what they could imagine and forge into reality. Unbounded thinking is acknowledged to be the key to creativity, but how they also defied the laws of physics to breathe life into their imaginings remains a mystery. You leave trying to comprehend how awe-inspiring this place must have been before it was raided for rock to build Cusco by the Spanish. It became their ‘quarry’. As did the Incas, I guess.